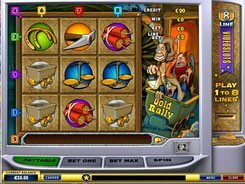 The Discovery slot produced by Playtech is a stunning adventure on board ship to unknown lands and teeming treasures. 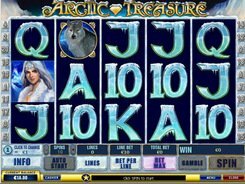 The slot has 5 reels and 25 paylines to bet on. 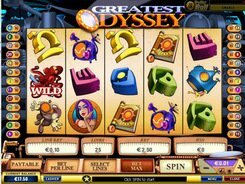 A host of alluring money-generating features, such as scatters, wilds, gamble rounds and free spins offer fun on the reels and transform the action into a real treasure hunting. 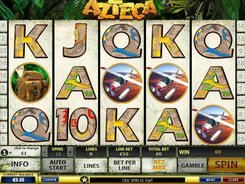 The slot can be played at coin denominations of $0.01 to $1. The maximum payline bet is 10 coins, and the top wager per spin amount to $100. The largest coin jackpot is 5000. The symbols include an Indian girl, island, spyglass, and flower. These are supplemented by regular playing cards with face value from 9 to Ace. The Compass is a wild symbol that drops on lines 2, 3, and 4 only and substitutes for other regular icons. A scatter symbol is represented by the Captain. 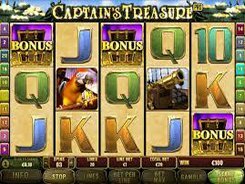 You receive 10 free spins with your winnings tripled, provided three or more Captain symbols get scattered anywhere on the reels. 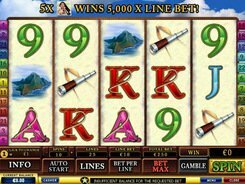 In the Gamble feature activated optionally after every win your can try to increase your current winnings. Select whether to bet only half the amount or the whole amount earned in the previous round. The Autoplay option is available. PLAY FOR REAL MONEY!